From Le Louis XV in Monaco and Tokyo's Beige, to Alain Ducasse at the Dorchester in London and Le Meurice Alain Ducasse in Paris, the famous French chef is bringing together, under one roof, no fewer than five of the chefs he has chosen to cook under his name at his various global locations. This very special dinner won't go unnoticed among fans of fine food. Indeed, any foodie would need to be a committed globe-trotter to sample the signatures of all of the restaurants managed by Alain Ducasse. The January 31 dinner therefore offers a rare opportunity. Kei Kojima, head chef of Alain Ducasse's Beige in Tokyo, Japan, will be heading to Le Meurice to help prep a meal cooked up by five high-profile chefs. The Japanese chef—who maintains the two Michelin stars at Alain Ducasse's Japanese flagship—will be joined in the kitchen by Dominique Lory, who is usually found helming the kitchens at Le Louis XV in Monaco. Philippe Blondet will cross the Channel, leaving London's Dorchester hotel to take part in the Parisian event. 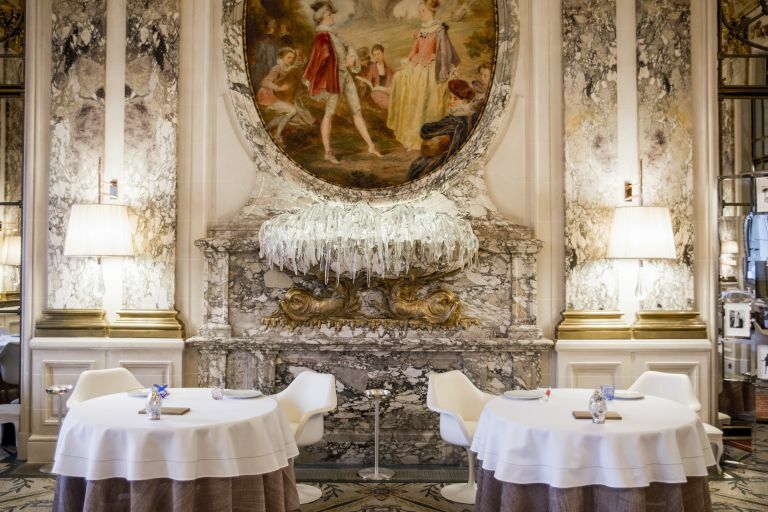 Jocelyn Herland and the pastry chef Cédric Grolet will remain in residence at Le Meurice to complete the all-star line-up. Philippe Blondet will open proceedings with a dish of marinated scallops. This will be followed by gastronomic treats such as abalone, Mediterranean sea bass and saddle of venison. Cédric Grolet, meanwhile, will be concocting pistachio-based pastry creations. The dinner menu costs €580 per head with wine pairings.